We can provide a fleet of London Black Cabs for any size corporate event.Our fleet is mostly plain black cabs but can have signs attached. If you flying to/from any UK Airport trust a London Black Cab to make your transfer smooth, comfortable and very competitive on price. We can supply a London Black Cab for your day out visiting one of many lovely landmarks around London and the south of England. Corporate Black Cabs provide professional London Black Cabs services throughout London & the UK. Corporate Black Cabs are providing the capital with an unrivalled black cab service, wherever you are in the city. With a professional, friendly and reliable service, getting you where you want to be, on time and safely is always our main priority! At Corporate Black Cabs we specialise in providing London black cabs services and corporate travel arrangements. Our mission is to provide a highly reputable, reliable and professional black cab service throughout the city of London and further afield to suit any travel requirements you may have. Whether you are entertaining clients, holding a conference, need your transport arranged for a meeting/ special event or simply want to travel to your destination in comfort and style. Corporate Black Cabs can provide you with full corporate transport from our executive fleet of london black cabs. What better way to arrive into London than in a London Black Cab. You can hire a London Black Cab at a very competitive rate for all UK Airport Transfers. 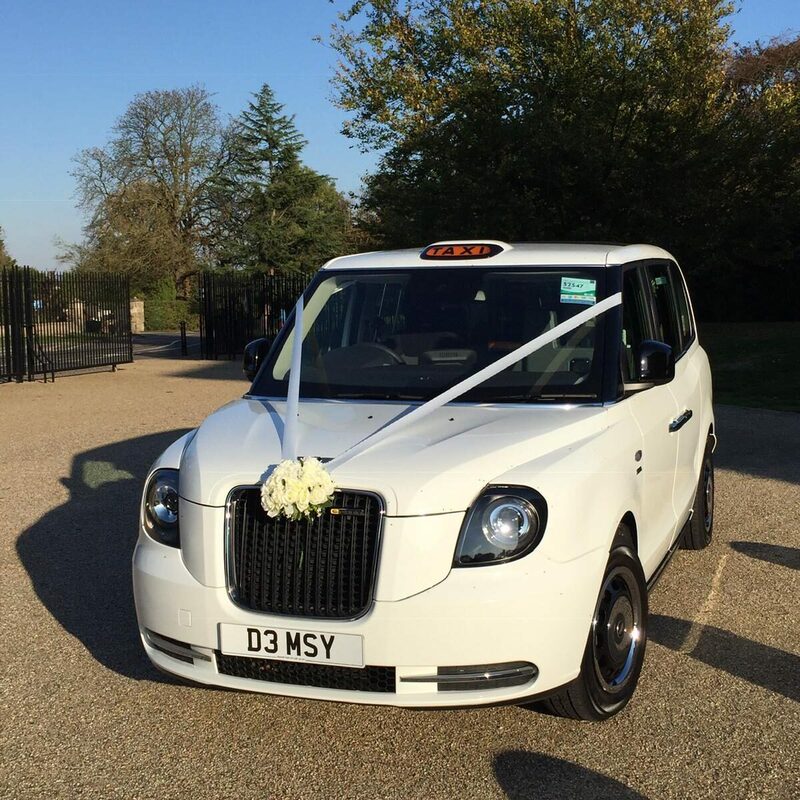 With have 3 different London Black Cabs, the traditional TX4, Mercedes Vito or the new Electric Taxi. Offering an array of some of the most reliable and stylish wedding cars throughout the capital, we cover all areas of London and pride ourselves on offering an unrivalled friendly and reliable service, helping to make that special day go as smoothly as possible. We offer days out transportation as well as London sightseeing tours. Travelling in an iconic Black London Cab taxi means you can enjoy our tailored tourist tours of the city which have always been, and continue to be, very popular with visitors to London. 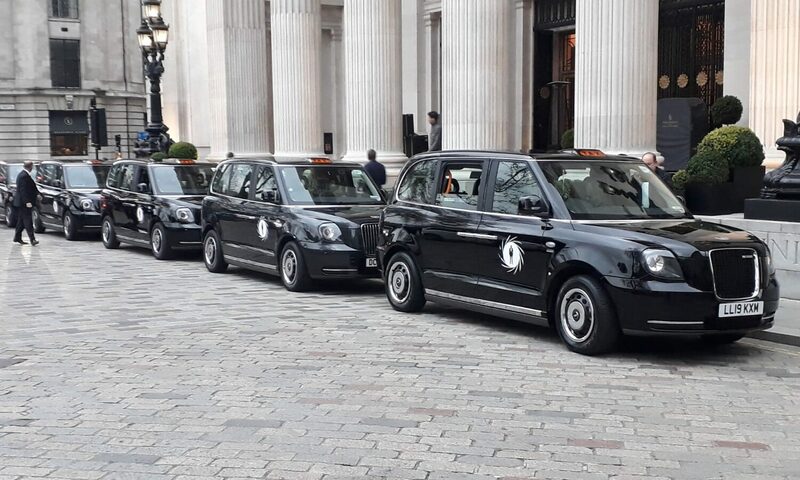 Our taxi marshals are licensed London taxi drivers who, over the years have gained great experience in managing large groups who require transportation after an event. They are also fully vetted with enhanced CRB checks. Check out our gallery showcasing our services including wedding transport, corporate black cabs, airport transfers, days out & tours and London event cabs. Lovely clean cab with ribbons that matched our colours. Mike (Corporate Black Cabs) did two runs to the church for us, one with the bridesmaids and then for my Dad and I. Really nice guy, talkative and friendly. Nothing was too much trouble! Mike’s service really took my mind off my nerves on the drive down to the church, so thank you. Also the service went on longer than anticipated and mike waited until we came out when he didn’t have to. The ten minute drive we had after the ceremony whilst our guests got themselves to the reception venue, was the best thing we did. Just a quick note to say a huge thank you to you and your team of drivers for all that you have done for us over the last few days. Everything went smoothly and it was great being able to know the bookings were all in safe hands. Thank you for your patience with the multiple changes and for your quick thinking when we had to make last minute changes. We will definitely be in contact again and will happily share your details for future bookings. We were greeted with a welcoming smile and an immaculately clean and modern car. We booked a taxi tour of the city’s many monuments. On the tour of the city, we were treated to an insider’s view. We were shown historical sights which we would otherwise have spent days looking for. We were able to visit our favourite football stadium as well as Wimbledon. Corporate Black Cabs truly went above and beyond for us and made our trip in London far better than we could have ever expected. We would recommend Corporate Black Cab for their professional, personalised service. If you have any questions or would like a quotation FREE of charge just get in touch.